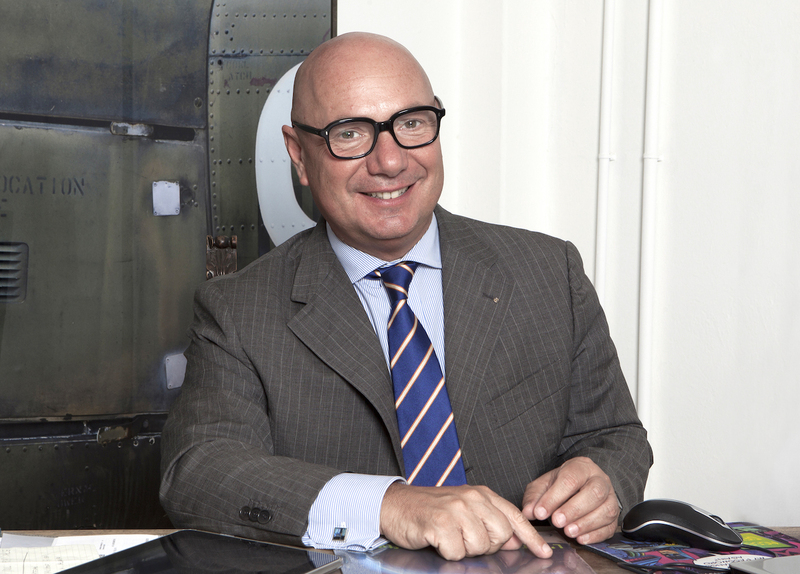 Interview with Marco Genzini, collector and Emmegi Group’s CEO, a company operating in the business communication services and consulting for the past 50 years. The passion for art led him to establish a company where the study of new forms of expression and creativity are the team’s inspirations. Marco Genzini, passionate collector and lover of contemporary artistic expression, transformed an ex coffee factory at the Isola neighborhood (Milan, Italy) in a place where daily art and work dialogue and creativity is expressed in all his levels: the most interesting pieces of his art collection are exposed in the communication agency Emmegi Group. Paola Sacconi. Where did the passion for art come from and when did you start collecting? Marco Genzini. Everything starts from the 60s when my father, Oreste Genzini, approached the art world, or better … the art world approached my father. Oreste and his partner had a company that produced clichés and the artists began to come to him for the catalogues’ production in exchange for artwork. At the time the clichés were very expensive and few artists could afford to make them. So the art came to my father and therefore it invaded our home. Little by little, accumulating works, my father started to educate himself, to understand and become more aware about the real talent of the artists. I was born in the midst of the artworks and creatives. Paola Sacconi. What was the most important teaching from your father in this context? Marco Genzini. From my father, I inherited the sensitivity to young artists and I continue to help them publishing catalogues, whenever possible, in exchange for artworks, not necessarily seeing the works as an investment but as a form of expression. Commercially, there are works in the collection that do not currently have a high price, but I think they are interesting pieces and therefore I have no doubt that will be reassessed in the future, as it has happened with Paul Scheggi. Paola Sacconi. What is the fil rouge in your collection? Marco Genzini. In the collection two hands are clear: my father, linked to his time and mine, linked to my contemporary. The difference is strong but we both watched our time. 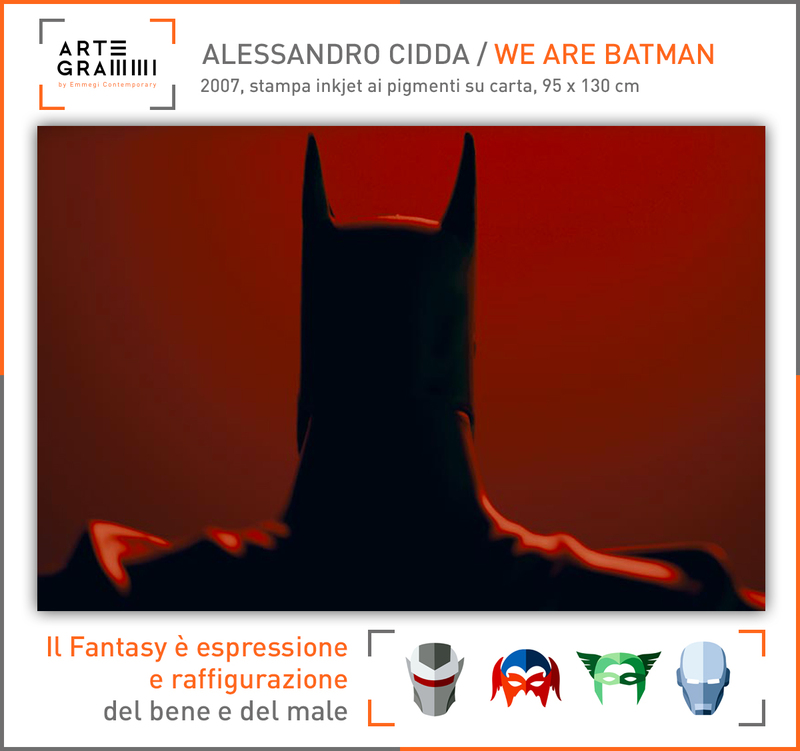 My collection can be described as “pop”: there are Italian and international artists, conceptuals and minimalists but all are represented by a work with some popular elements. Then we will see how the collection will evolve because there is a third generation ready to help me. My daughter, Victoria Genzini, who works at Massimo De Carlo gallery between Milan and London, is approaching the collecting and she is advising me what to buy… we contaminate each other. Paola Sacconi. 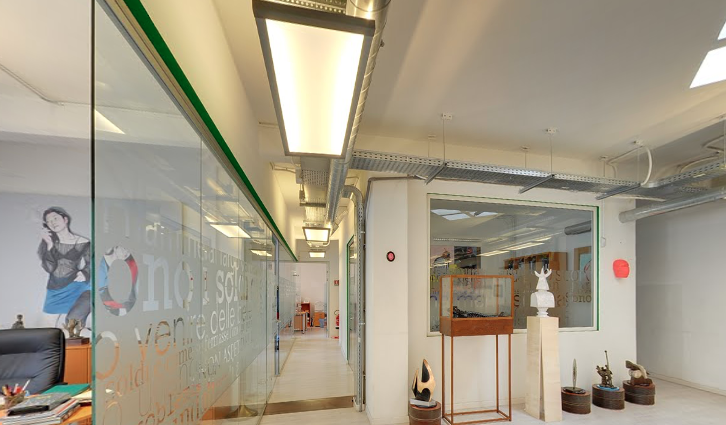 Part of the collection is in Emmegi group’s offices. Why this choice? Marco Genzini. I wanted to bring the art inside the communication agency because I believe creativity is affected in a positive way directly or indirectly, in an unconscious level. I care people are well coming into my offices and that moment has to be an opportunity to think. The testimony of employees is important and I see they interact with the artworks, they ask. Even I leave free choice on the artworks that they prefer to have close to their desks according to the tastes, appreciations etc. It shows there is an interest and an interaction that definitely has a positive effect on the work and the production. Paola Sacconi. How do you spread out the collection from the workplace? Marco Genzini. Thanks to the digital medium, I’m trying to bring out the collection from the agency and to make it more “public” as possible. On Net-Uno’s wesite, our web division, we created the virtual tour of the offices so you can explore all environments through a simple device. From September, Artegrammi column was started on Net-Uno’s Facebook fanpage and Instagram profile, a weekly date that tells the Emmegi Contemporary’s collection and it comes from the desire to feed the mind with creativity pills. The aim is to share inspirations and artistic suggestions highlighting curiosities and secrets of the artworks in the agency. I wish everyone could enjoy this collection because I believe art should not be locked in vaults, but it has to live among the people. Obviously I had to make a selection, but the best pieces are exposed and not stored in warehouses. The artwork is collective and art must stay with people. Today the digital allows us to spread visually the artwork and his emotions: obviously it doesnt’t replace the original but it helps to think. Paola Sacconi. An advice for new collectors? Marco Genzini. Spend little and watch with the heart and the head. Be not influenced too much by the charts and trends. Buy young artists who have behind a value and research gallery. So professional galleries and low prices. There is always a small bet at the level of investment but, if you like it, you have a nice work in the collection to be exhibited and to enjoy.